The 54 dams in San Diego County are in pretty good shape, though some could present dangers in extreme circumstances, the state Department of Water Resources announced Friday. In San Diego County, no dams were rated poor or unsatisfactory. 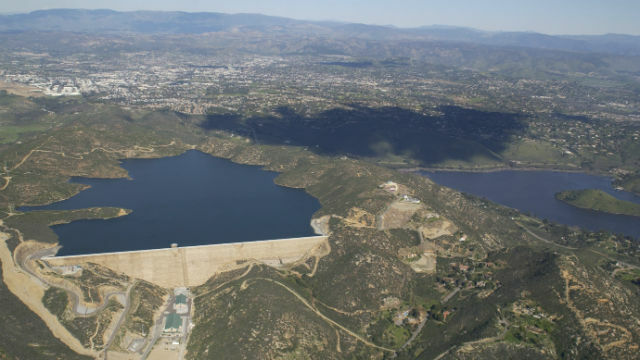 However, nine were rated as being in fair condition, including Barrett Lake, El Capitan Reservoir, Lake Hodges, Lake Morena, Lake Murray and Savage Dam at Lower Otay Lake — all owned by the city of San Diego. Other local dams rated fair were Mount Woodson, owned by the Ramona Municipal Water District; Sweetwater Reservoir, owned by the Sweetwater Authority; and Lake Wohlford, owned by the city of Escondido. While extreme situations would be needed for the nine dams to pose a risk, the assessments pointed out that the downstream hazards to life and property were high or extremely high at each.